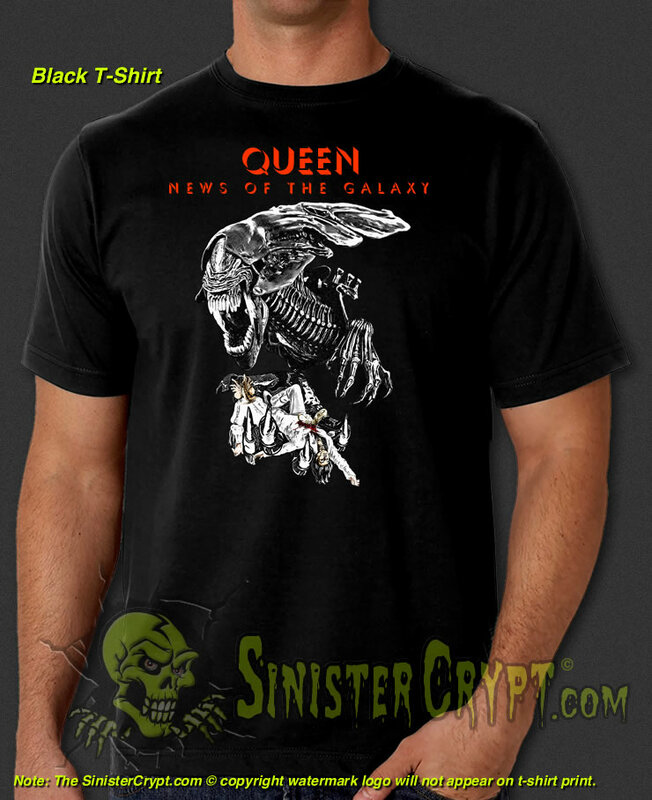 Aliens Queen News of the Galaxy t-shirt. Hand-drawn digitized art bestowing honor to the Alien Queen who rocks the galaxy. 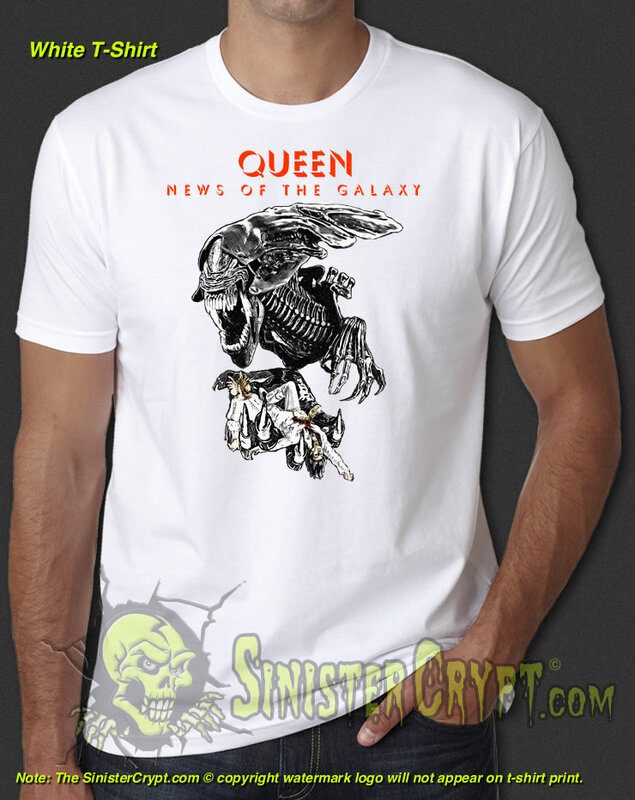 Makes a great gift for a Sci-Fi, Horror and Queen Rock group fan. !